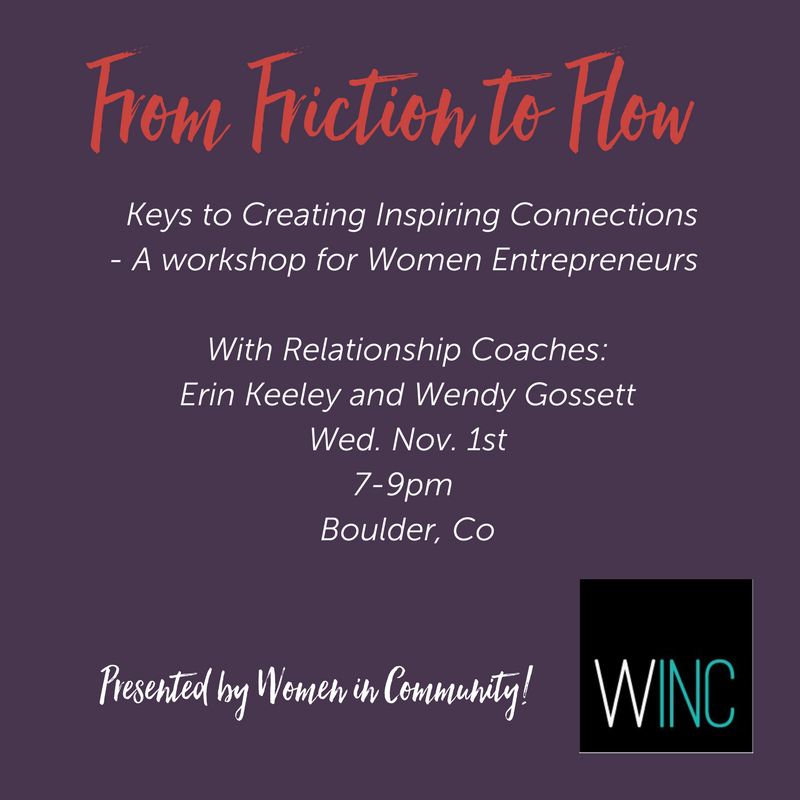 Join Erin and parenting coach Wendy Gossett in a workshop for women, presented by WINC (Women in Community). Are you tired of wishing that others understood you for who you really are? If we want to have relationships that are both satisfying and alluring, it's a prerequisite that we feel seen. And yet, in order to feel seen, we have to know how to viscerally and verbally show-up... without sabotaging connection! Here we will get a taste of what "showing-up" looks, feels and sounds like. Includes discussion, embodiment, communication games and tips. All women welcome! Location is Earth Yoga in Boulder near the corner of Folsom and Valmont.